Resource center How Long Is a Drug Detoxification Program? How Can Detox Medications Ease Withdrawal Pains? Withdrawal is often a very uncomfortable experience. Detoxing from drugs or alcohol after addiction has developed is often thought to be so physically and emotionally distressing that it serves as a deterrent in and of itself to getting clean. The truth is that withdrawal doesn’t have to be an ordeal; there are many treatment options that can be used. The type of symptoms that are likely to be experienced during withdrawal depends on the type of drug one is addicted to. People often endure symptoms that are “opposites” of the pleasant effects of the intoxicant. For example, people addicted to stimulants like cocaine and methamphetamine may experience lethargy, fatigue, and depression. Those addicted to opioid painkillers tend to endure significant aches and pains during their detox period. In some cases, withdrawal symptoms can even be life-threatening. Detoxing from alcohol and benzodiazepine medications like Valium and Xanax can directly result in seizures, which, if severe, can be deadly. For this reason, it’s very important to speak with a medical professional before detox is attempted. People tend to think that in order to “get clean” from drug addiction, they’re not allowed to take any kind of substance or medication during the withdrawal period. They may even think they don’t deserve to have relief from these unpleasant symptoms. This is completely untrue. There is no reason not to use all the tools at one’s disposal to get through withdrawal. This can even reduce the temptation to relapse in the middle of detoxing. According to studies, an entire 40-60 percent of people attempting to recover from drug or alcohol addiction relapse at least once. Doctors and addiction specialists will often prepare individuals facing withdrawal by putting them on certain medications beforehand. This is especially true with certain antidepressants and anti-anxiety medications, which often take a couple weeks to begin working properly. Other medications may be prescribed or recommended to be taken as symptoms appear. The use of any or all of these medications is unlikely to completely eliminate withdrawal symptoms, but they can make the process much easier. It’s especially recommended to use anti-nausea and antidiarrheal remedies, as these symptoms can result in dehydration, which can cause additional symptoms and even become dangerous in extreme case. For cases of severe addiction, especially to substances that can cause life-threatening withdrawal symptoms, it is generally recommended that the individual participate in a medically supervised detox program. This is where clients stay in a hospital or residential setting for the duration of the acute withdrawal symptoms. Doctors can therefore monitor clients’ vital signs and symptoms to ensure their safety and most effectively treat unpleasant symptoms as they arise. 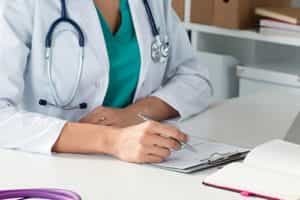 In some cases, doctors may be able to provide medications that can directly treat addiction, helping both cravings and withdrawal symptoms lessen. Speak to a medical professional to determine which are the best options for your individual situation. People who have struggled with opioid addiction for a long time may need prescription medicines to ease withdrawal symptoms during detox. While opioid withdrawal is not life-threatening, the discomfort and cravings often lead to relapse if the person does not have help from medical professionals. Working with a doctor means access to prescription drugs to ease the most uncomfortable symptoms. There are several common medications prescribed to treat opioid withdrawal. Methadone is the most famous in the US; it’s primarily used to help people who have struggled with heroin addiction. However, methadone is a potent opioid agonist in its own right, and it has become a target for diversion and abuse, according to the Drug Enforcement Administration (DEA). Because of this, drug rehabilitation specialists often prefer other prescription medicines to help with withdrawal from opioids. Buprenorphine has been a popular opioid withdrawal therapy for decades, and it was approved for prescription use in the US by the Food and Drug Administration (FDA) in 2002. It is currently the most popular option to help people ease off physical dependence on opioid substances. It is a partial opioid agonist, meaning it binds to opioid receptors but does not cause a high like faster-acting drugs can, including heroin or oxycodone. People who do not have a tolerance to opioids may experience some euphoric or relaxing effects from buprenorphine, but as a medication-assisted therapy, it is intended for people who have high levels of physical tolerance and dependence already. By binding to the opioid receptors, buprenorphine reduces the impact of withdrawal symptoms and satisfies cravings. The drug has a long half-life, so it can help people who have ingrained habits related to heroin injections or taking prescription opioids to stop those behavioral patterns. 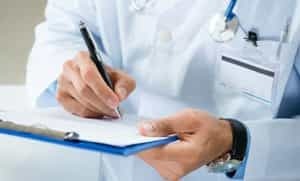 Buprenorphine has also become a target for abuse, but with appropriate medical supervision and an individualized tapering regimen to ease the body off the drug, it is a very useful tool to overcome physical addiction to opioids. Clonidine is sometimes prescribed off label to treat less intense withdrawal symptoms during opioid detox. People who have lower levels of physical dependence on these drugs may benefit from taking clonidine to ease physical symptoms of withdrawal. The medication has only been approved by the FDA as a blood pressure prescription, but during opioid detox, it has been found to ease tachycardia (rapid heartbeat), diarrhea, watery eyes, and some other stress-related complaints associated with detox. The risk of seizures during alcohol detox is generally highest within the first 48 hours of treatment, but it is important to minimize this risk because seizures can be deadly. The use of benzodiazepines, especially long-lasting ones like Valium, has been helpful for some people who are at considerable risk for developing delirium tremens; however, it is very important for these short-term prescriptions to be carefully monitored by the physician because benzodiazepines act on the GABA pathways like alcohol does, and they can become a secondary addiction for a person attempting to recover from alcohol use disorder. People who are at less risk for developing seizures or delirium tremens during alcohol withdrawal may receive prescriptions for other medications, which can ease other symptoms, including cravings. Acamprosate is one of the favorites because it directly eases withdrawal symptoms like insomnia, anxiety, restlessness, and dysphoria; the drug seems to normalize the areas of the brain, such as the GABA receptors, that have been disrupted by chronic alcohol abuse and addiction. Disulfiram is another medicine that may be prescribed, but it is more effective for people who have detoxed from alcohol and may need help avoiding relapse. The drug inhibits one of the enzymes involved in metabolizing alcohol, so the person will feel uncomfortable after they drink; their face will flush, they will feel nauseous, and they may experience heart palpitations. Naltrexone is also popular, although it works best after the person ending an alcohol use disorder has successfully detoxed. This drug essentially eliminates cravings for alcohol by blocking any rewarding effects the brain experiences. Naltrexone is helpful for many people ending their addiction to alcohol, and it is sometimes used to treat opioid addiction, but it has not been shown to work for everyone. Typically, when a person is struggling with benzodiazepine addiction or dependence, they began taking the substance as a prescription. Many physicians will help their patients detox from benzodiazepines by working with them to taper use of the drugs on an individualized schedule until they no longer physically depend on the substances. Sometimes, the physician will replace a short-acting benzodiazepine, like Xanax or Klonopin, with a longer-acting benzodiazepine, like Valium, so the individual can focus on retraining behaviors that are related to taking the drug frequently. Other drugs, like cocaine, synthetic cannabis, hallucinogens, and marijuana do not have replacement medicines that can be used to ease symptoms of withdrawal while the person detoxes. However, a doctor is still able to help. For example, a physician may diagnose their patient with a co-occurring disorder and refer the person to psychological treatment while the individual also begins the detox process. Treating a mental health concern at the same time as substance abuse can reduce the risk of relapse, relieve some withdrawal symptoms, and reduce the potential for another addiction to a prescription medication to form. A physician may also recommend some over-the-counter medicines, like NSAID painkillers, treatments for nausea or stomach problems, and other options to address specific symptoms. These can directly ease symptoms of withdrawal while largely avoiding the introduction of potentially addictive substances.